Electric bike tuning with the JUM-Ped VMax Remover is very simple and can be done within a few seconds – you don´t need a PC or special technical skills. You simply have to remove the shrink tube at the original plugs (near the panel at the handlebar) and to disconnect the plugs at the bike. After that, connect the JUM-Ped to the plugs of the BionX electric bike and switch on the BionX panel. Now you can start to tune the speed of your BionX system! 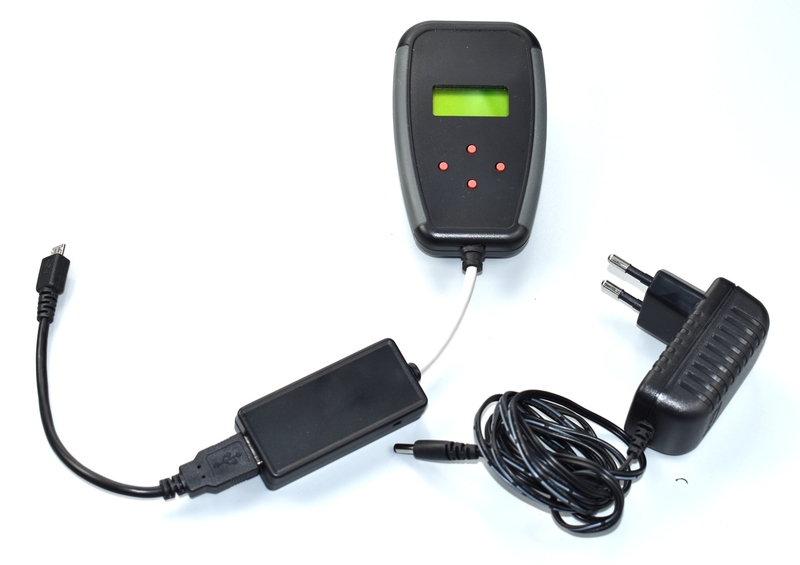 The JUM-Ped comes with a clearly arranged LCD display; the operation is done intuitively via four buttons. Now you can use the menu to choose the desired speed or to enter an individual value between 1 and 70 km/h (please note: the actual maximum speed you can reach depends on the efficiency of your system). If your electric bike has a throttle control, you can choose a value for its maximum speed, too. You can find further adjustment possibilities in the product description. Important: Each JUM-Ped tool is limited to one BionX electric bike – this means, you can use each tuning tool only to make exactly one electric bike faster. Recently we even have the “JUM-Ped for 2 BionX Bikes” version for you. 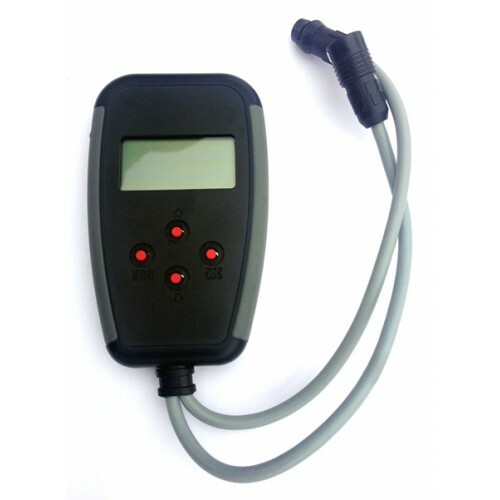 This is a tuning tool especially manufactured for BionX electric bicycles equipped with a BionX RC3 controller (optionally with or without a BionX DS3 display). The device takes away the 25 km/h speed restriction completely. 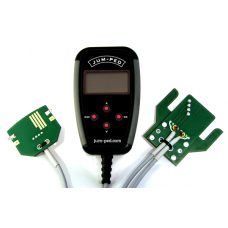 Simply connect the JUM-Ped to your BionX system and use its 4 buttons and the display to derestrict your electric bike. After that, the JUM-Ped does not remain at your bike. Off course, you can undo the tuning whenever you want to. Please note that each JUM-Ped for BionX with RC3 controller is strictly limited to exactly 1 BionX system, too. From now on, there is a “JUM-Ped especially for Bosch Classic Line” systems, too. You can choose between two versions for different displays: JUM-Ped with Intuvia Plug and the JUM-Ped with HMI Plug. You can use the JUM-Ped not only to increase the maximum support, but also to make further modifications – for example, you can activate or deactivate the bike light, choose between kilometers or miles in the display, read out and adjust the wheel size (between 500 and 4000mm), activate the starting aid (only Intuvia display) or choose between different display languages (German, English, Dutch, French, Italian, Spanish / only Intuvia display). You see, the JUM-Ped is a very versatile tool. 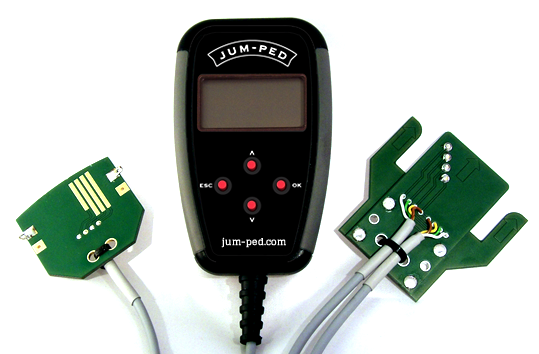 This version of the JUM-Ped comes with a very clearly arranged LCD-display, too. It can be simply operated via four buttons. If you want to know how to install the JUM-Ped tuning tool for Bosch Classic Line engines or which other adjustment possibilities exist, simply read the product description. Important hint: Each JUM-Ped is limited to exactly one electric bike at the same time – this means, you can use each tuning tool only to make exactly one electric bicycle faster. But from now on, each JUM-Ped for Bosch is equipped with an "Interchange Function". This means: You can "divorce" (disconnect) your JUM-Ped from your electric bike. After that is done, you can connect it with another electric bicycle with Bosch Classic system again. The JUM-Ped for Neodrive and Xion engines is a comfortable software tuning product. It enables you to set the max speed individually from 15 to 37 km/h (according to the manufacturer software version, the max speed can be only 32 km/h). The pushing aid can be adjusted from 1-11 km/h (some manufacturers software versions may only allow a maximum of 6 Km/h). The support levels are individually adjustable from 1 to 5 (50 – 300%). In addition, you can set the standard support level after activating the E Bike. The agility can also be set from 1-4 (response behaviour). And the wheel circumference can also be adjusted to the millimetre. Many other features are included, too. Of course, you can use the JUM-Ped to restore the original output configuration of your bike whenever you want. Important hint: Each Jum-Ped is limited to 1 Neodrives / Xion system - you can only optimize 1 system with this tuning tool.